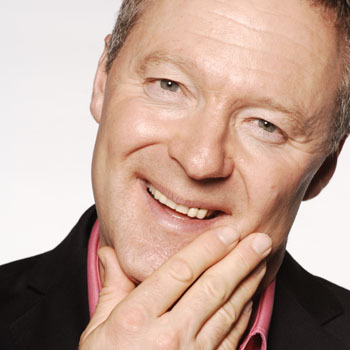 Impressionist, comedian, satirist, translator, columnist, writer, presenter, ballroom dancer, Rory Bremner is either multi-talented or indecisive or both! Rory is perhaps best known for writing and starring in the political satire show Bremner, Bird and Fortune, for nearly twenty years a mainstay of Channel 4’s comedy output. He won back-to-back BAFTAs for Britain’s Top Comedy Performance, together with three Royal Television Society and two British Comedy Awards. He turned his hand, or should that be feet, to Strictly Come Dancing, and regularly appears on TV and Radio, as a performer as well as presenter, while early TV credits includeSpitting Image, Whose Line is it Anyway, Have I Got News for You, Mock the Week (where he was team captain for two series), The News Quiz, The Now Show, 7 day Sunday and QI. He appeared more often than any other guest on both Wogan and Parkinson. He often features on The Andrew Marr Show, where he reviews current political events through his many characters. With John Bird and John Fortune, he also wrote and appeared in numerous specials, including Between Iraq and a Hard Place, My Government and I and Silly Money, and a book, You Are Here, published in 2005 (‘a stockpile of satirical ammunition’- Daily Telegraph). He has made documentaries on Scottish Soldiers and Diaries for BBC4, traced his family history on Who Do You Think You Are (BBC), explored his own self-diagnosed ADHD on Radio 4 and starred in the hugely successful 2011 series of Strictly Come Dancing with partner Erin Boag. He does live tour shows, often with Jazz Performer Ian Shaw and comedienne Hattie Heyridge, and in 2011 began a new satirical show for Radio 4, Tonight, with Andy Zaltzman. Meanwhile, he’s translated three operas: two from French, Carmen (2001) and Orpheus in the Underworld (Scottish Opera, 2011) and one from German (Der Silbersee,1997) together with the Bertolt Brecht play A Respectable Wedding (Young Vic, 2008). He is a regular contributor to The FT, The Telegraph, The New Statesman and Radio Times, for whom he has interviewed Michael Parkinson and Sir David Frost. 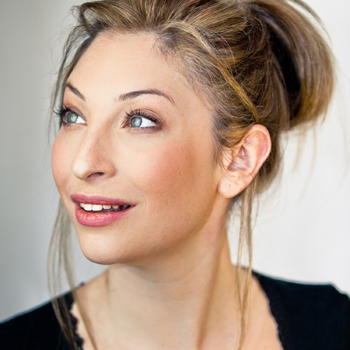 Actress, impressionist, singer and voiceover artist – Jess Robinson has appeared on both stage and screen. Her TV credits include ITV’s satirical puppet show – Newzoids, BBC3’s comedy Murder in Successville, and Rory Bremner’s Election report (BBC 2). During the Edinburgh Festival 2015, Jess showcased her impressions (including presenter Alex Jones) live on The One Show. Other TV credits include Dead Ringers, The Impressions Show, Spoof, The Slammer and Scoop! A popular interactive musical impressionist for corporate events, Jess injects energy and fun with her ‘Wheels of 64 Tunes’. By spinning each of two wheels (one of artists’ names and one with song titles) Jess performs the often bizarrely humorous end result! She can give her audience Kate Bush in 3 minutes or The Sound of Music in 2 minutes. She can also tailor an original song to suit the occasion, which can certainly enliven a corporate event and add a stamp of originality. She has recorded numerous radio sitcoms and sketch shows for Radio 4, including; The Now Show, Fifteen Minute Musicals, Secret World, I’ve Never Seen Starwars, The Castle and Newsjack. Jess is the voice of Horrible Histories on CBBC. She voices multiple characters in the Dreamworks production of Noddy and she provided the core female impressions for HEDZ on CBBC. She can also be heard on several of the brilliant Doctor Who audio episodes. s.
A classically trained singer, Jess is versatile in all styles and began impersonating professionally when she played the title role of Little Voice.